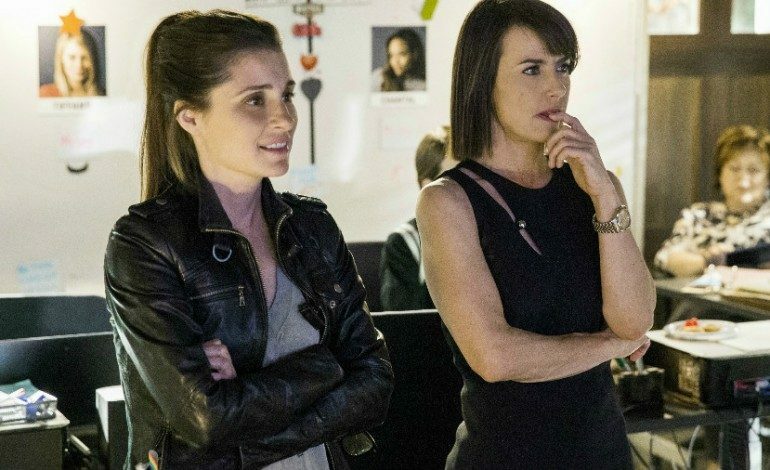 UnReal’s fourth season, starring Shiri Appleby as Rachel Goldberg and Constance Zimmer as Quinn King in the role of producers on Everlasting, a The Bachelor-style show. It chronicles Rachel’s journey to create drama and manipulate the contestants to fit amoral executive producer Quinn’s storyline. This season sees Rachel, who has already made some morally questionable choices, take it to another level whilst attempting and failing to be a different person as well as dealing with topics such as sexual assault. “We love season four of UnReal and its visionary creativity in bringing back many favorite characters for an all-star competition. When the opportunity to partner with Hulu arose, we immediately saw the huge benefit to UnReal’s loyal fans, as well as a unique way of recruiting first-time viewers to this ground-breaking series,” commented A+E Studios’ Barry Jossen. “UnReal has been an incredible ride filled with awards, critical recognition, committed fans and, best of all, insightful cultural dialogue throughout its run. We expect season four to deliver another great round of cultural influence with its timely themes.” A+E remain the sole owners of UnReal. In terms of changes to expect this season, new cast members include François Arnaud, Natalie Hall, Meagan Holder and Alejandro Muñoz. Zimmer directed one episode and Appleby directed both the season finale and one other episode. Shapiro, co-creator, and Rukeyser, showrunner, are returning to produce the show.